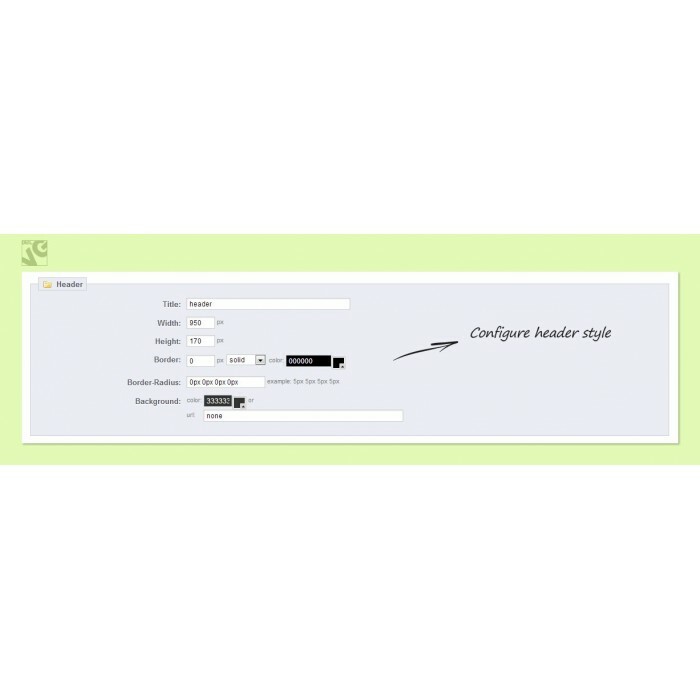 A cool looking, customizable and intuitive UI enhancement for your header. 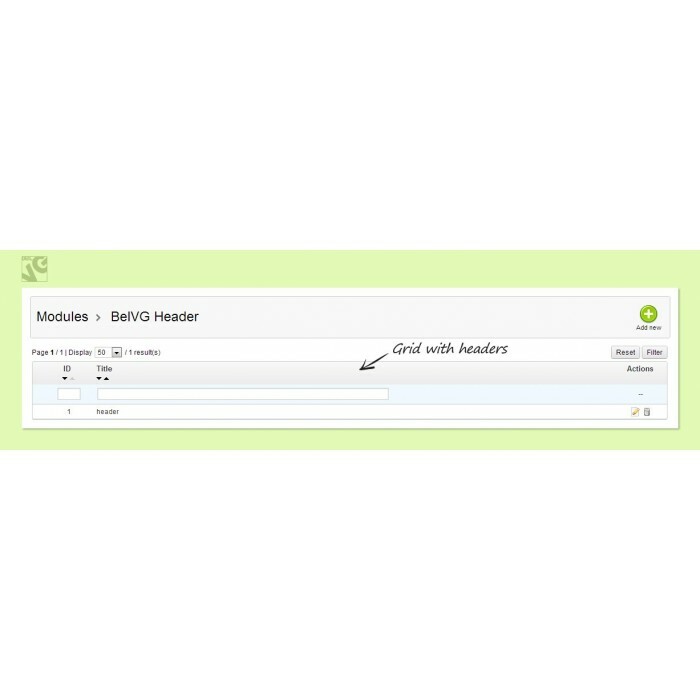 Easy admin management lets you create your own header from necessary blocks and fill them with all information you need. 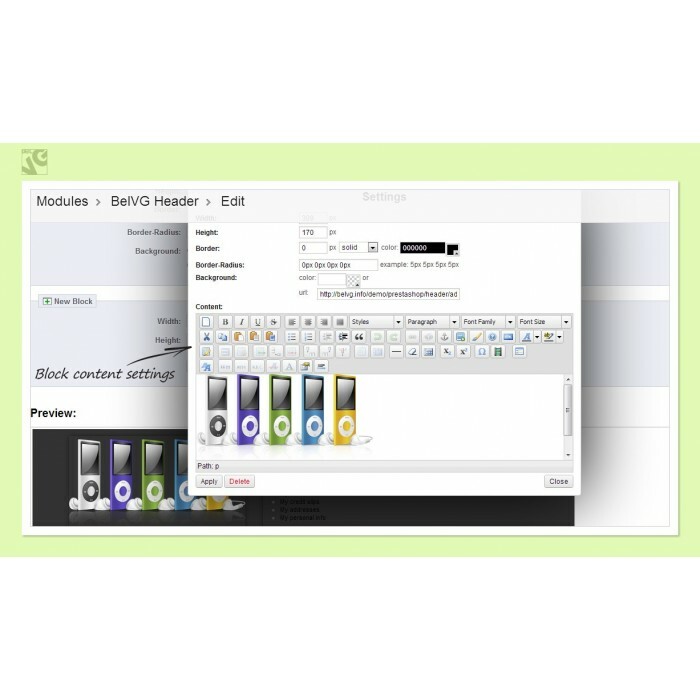 PrestaShop Extended Header module allows adding a header to your store and editing it easily and quickly. The settings are intuitive: simply configure header size and background color, create blocks to be displayed within, click any block and drag it to the best position on the preview. Block content is created in the WYSIWYG editor. Feel free to compose lots of headers and assign them to different stores of yours. Whichever website you visit, the first thing that you will intuitively use to navigate or pay attention to is a header. Give a whole new life and excitement to this significant tool, because, you know, a dull or ill-convinced header might just kill the experience. After activating and configuring the header, a small stylish tab appears at the top of the page. The user clicks it and the header slides. Any content can be used within, including blocks with eye-popping graphics, snappy typography, text and links.